Secretary of State reportedly to criticize former President’s Middle East policy in major speech he will give during his trip to the region. US Secretary of State Mike Pompeo will blast former President Barack Obama’s Middle East policy in a major speech he will give during his trip to the Middle East this week, sources told the Politico website on Monday. The speech will be given in Cairo, the same city in which Obama famously delivered an address to the broader Muslim world in 2009. Pompeo plans to repudiate Obama’s Middle East vision and will slam the former President’s engagement with Iran, while asserting that President Donald Trump has the region’s best interests at heart, according to Politico. 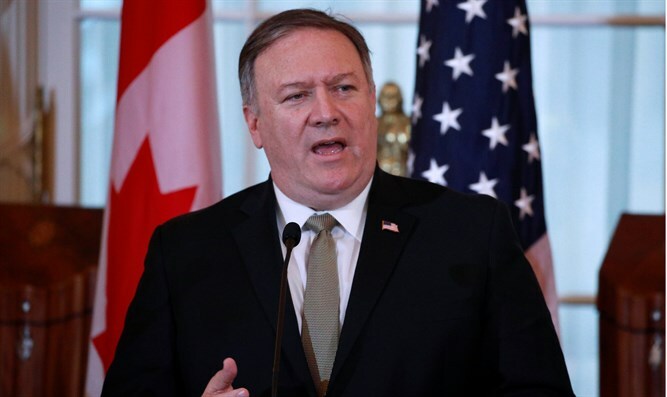 The Secretary of State’s trip, which was announced last Friday, includes stops in Jordan, Egypt, Bahrain, the United Arab Emirates, Qatar, Saudi Arabia, Oman and Kuwait. A visit to Iraq is also possible, as is a stop in Israel, according to Politico. The trip is supposed to run through January 15. Original drafts of the speech were heavily focused on trashing elements of Obama’s 2009 speech, in which the former president sought a “new beginning” with Muslim-majority countries amid the fallout of the US invasion of Iraq. Pompeo is slated to tell his audience that Obama — although he may not name the former president — misled the people of the Middle East about the true source of terrorism, including what contributed to the rise of the Islamic State (ISIS), according to the people briefed. Pompeo will insist that Iran, a country Obama tried to engage, is the real terrorist culprit. The speech’s drafts also have Pompeo suggesting that Iran could learn from the Saudis about human rights and the rule of law, two people briefed told Politico. Such assertions, should Pompeo ultimately make them, are sure to get pushback, not only from aides to Obama but also from experts on the region, noted the report. Pompeo, like Trump, has been a vocal critic of Iran. In May, the Secretary of State listed a dozen demands that he said could make up a new agreement with Tehran following the US withdrawal from the nuclear deal. Iran rejected those demands outright.